The Ogden Honors College is one of the few honors institutions in the country that can boast a complete Honors Campus. Our 10-acre “campus within a campus" is a unique space located at the heart of LSU's main campus, just across Highland Road from the Student Union. Our residential college community thrives in an environment that combines historic architecture, cultural significance, and modern renovation. The Ogden Honors Campus is also within short walking distance to LSU classrooms, stadiums, and the University Recreation Center. Honors students live, study, and socialize within this vibrant residential college community — all at the center of LSU. The Ogden Honors academic building and de facto headquarters is the French House, a Louisiana landmark listed on the National Register of Historic Places. Built in the style of a French chateau in 1935 during the incumbency of Senator Huey P. Long (the building's cornerstone bears his name), its style is distinct among LSU's predominantly Italian Renaissance architecture. In 2014, a long-anticipated $5 million interior renovation of the French House began. This extensive remodeling was completed in 2016 and served to modernize and expand its classroom, gathering, and study spaces to suit the mission of the College. On the first floor of the French House is the elegant Hans & Donna Sternberg Salon — formerly the Grand Salon. In 2017, Hans and Donna Sternberg made a generous gift to the Ogden Honors College to support students. In recognition of their generosity, the title “Grand Salon” was changed to “Hans & Donna Sternberg Salon.” In addition to providing a space for faculty and visiting professors to hold lectures and events, it also houses the College's Quimper Pottery collection and other artifacts from the time of the residential French House of the 1930's. The Salon contains an HD projector screen within the ceiling with a wireless microphone for presentations and a Bechstein grand piano for concert performances. Adjoining the Hans & Donna Sternberg Salon is the French House Atrium and front desk for general assistance. 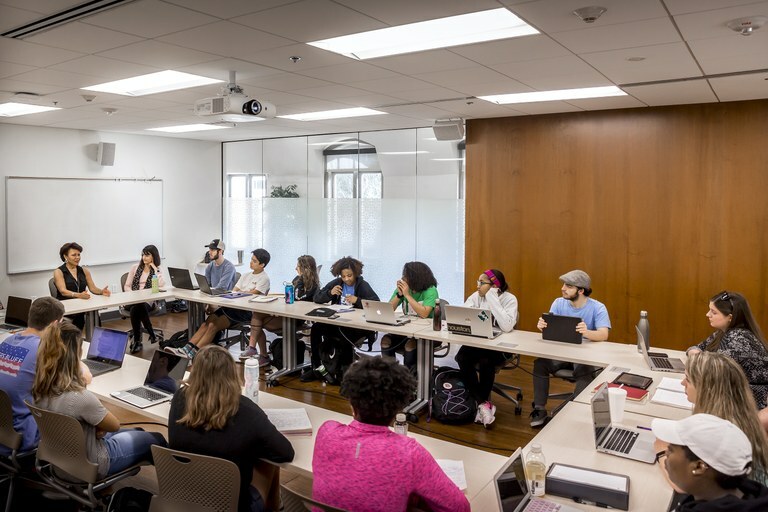 Newly renovated classrooms designed around a seminar format allow for students to see one another and engage in discussions with their professors and peers. They also come equipped with HD projectors, 7.1 surround sound, a high-performance instructional workstation, wireless keyboard and mouse, HDMI input for laptops, legacy VGA connectors, and document cameras. The third floor of the French House is dedicated to student services and administration. Here students will have access to Honors staff to help with advising, fellowships, and career planning. On the first floor across from the Hans & Donna Sternberg Salon sits the Student Lounge. A space for students to gather for study groups and campus activities, the Student Lounge is designed for Honors student comfort and collaboration in mind. Adjacent to the French House is Laville Honors House, the Honors College residence halls (also referred to by its two sections as East and West Laville). The Laville Honors House is home to more than 600 students. Some Honors advising and classes take place in Laville Honors House, and events are designed by faculty, staff, and student organizations to enrich and reflect Honors curriculum and themes. Laville Honors House events include everything from research colloquiums, to informal faculty talks; from service projects, to theater nights. An extensive $50 million dollar renovation of Laville Honors House was completed in 2012. 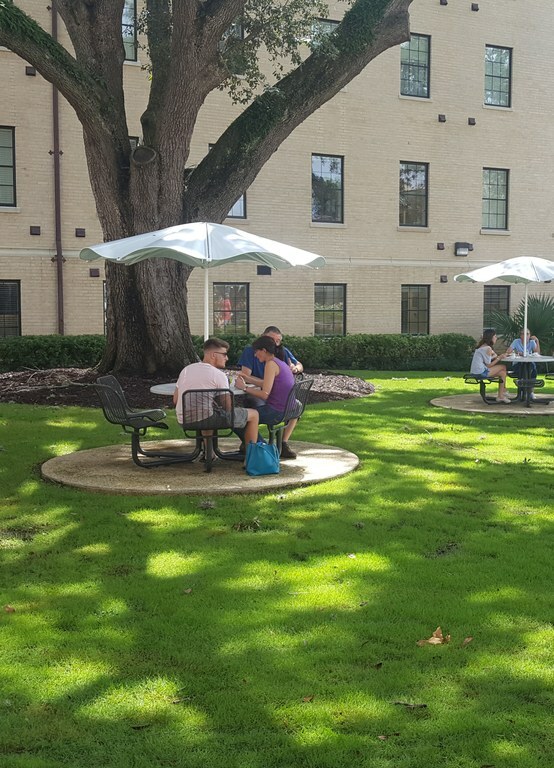 This outdoor space at the rear of the Honors residence hall is often used to host Ogden Honors events such as picnics and crawfish boils. It's a great space for relaxing under the oaks or studying outdoors. Just across the Laville Courtyard is 459 Commons, one of the two dining halls on LSU's campus, adding more convenience to Laville life. 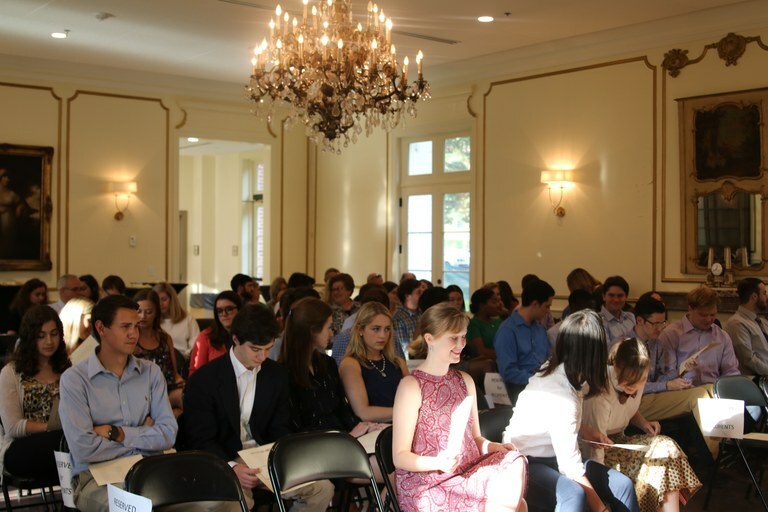 When a student enrolls in the Ogden Honors College, he or she becomes a member of a small, vibrant community at the center of LSU's larger campus. The concept for the Ogden Honors Campus is based on a model established by Oxford and Cambridge Universities more than 700 years ago — one in which students live together and take part in educational and social programming within that living space. We work hard to integrate what our students learn in the classroom with a rich life of experiences outside it through Honors programs and activities. At any given time, our students are gathering somewhere on the Honors Campus to listen to a guest speaker, participate in a service project, attend the theatre, recite at a poetry slam, engage in classroom debates, conduct a mock interview, chat with their advisers — and the list goes on. The activity and proximity of our academic and residential buildings acts as a catalyst for students to develop their intellectual curiosity and leadership skills, and to forge social and intellectual connections with each other, with LSU faculty, and with Honors staff.